The General Data Protection Regulation (GDPR) made privacy top of mind for businesses around the globe. The requirement to demonstrate compliance encouraged organizations to undergo major operational reform and assess their business processes for GDPR readiness. Businesses in the EU and beyond worked hard to prepare for the GDPR and are ready to showcase compliance to their customers, their board members and for internal privacy program benchmarking. While GDPR Articles 40-43 contain provisions that outline official certification programs and codes of conduct, those programs and certifications have yet to be launched by the EU and member states. 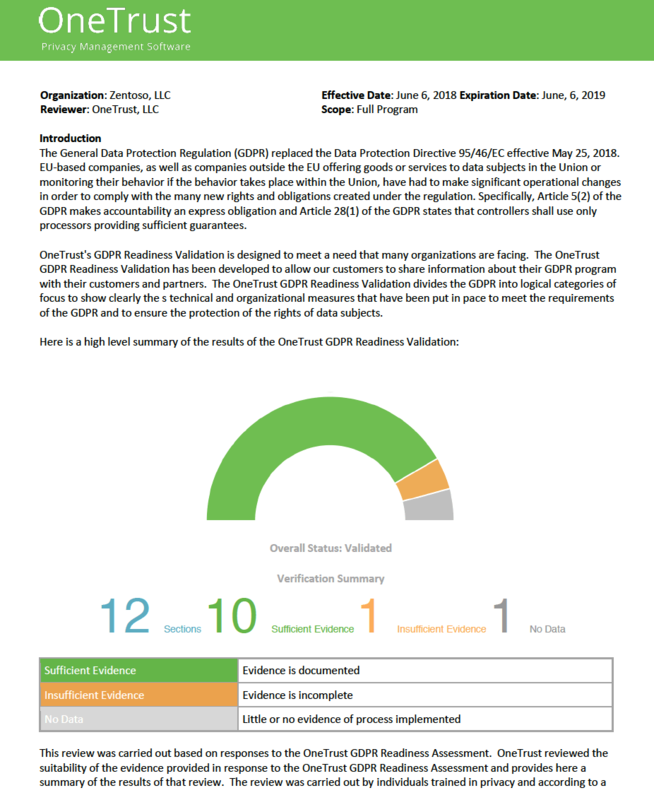 That’s why we launched the OneTrust GDPR Validation service, so you can work to achieve an independent, third-party assessment of your GDPR program. Any business, including those who do not use OneTrust solutions, can go through the process to earn the OneTrust GDPR Validation. Our in-house privacy team developed a five step GDPR Validation Methodology that evaluates GDPR readiness across key compliance areas, include DPIA processes, personal data breach response and DPO functions. The OneTrust GDPR Validation service is based on deep research and the Article 29 Working Party Guidelines and is conducted by the our CIPP-certified global privacy research team. Scoping: First, our privacy team will send a scoping questionnaire, statement of work and terms and conditions. This will help us understand the baseline of your privacy program and determine how to move forward. 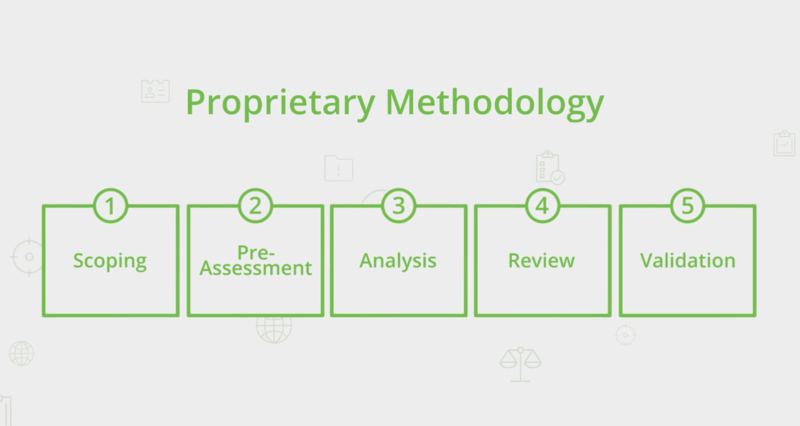 Pre-Assessment: Next we’ll kick things off with an overview your processes. We’ll thoroughly explain how we plan to collect the evidence needed to assess your privacy program and answer any questions you have about the service. Analysis: Here’s where the work begins. Using the OneTrust Assessment Automation tool, we’ll send out a validation assessment for you to complete. This streamlines the validation process and allows you to easily attach evidence we need to review your responses. Review: The OneTrust privacy team will review your responses and provide feedback on gaps or missing evidence from the analysis phase. You’ll have the opportunity to submit missing evidence and close these gaps. Validation: After one last quality review, OneTrust will issue a detailed validation letter that demonstrates your readiness. You’ll also receive an in-depth GDPR findings report that includes detailed recommendations to assess any identified gaps or risks. Then you officially have your OneTrust GDPR Validation that you can share with your vendors, customers, partners and leadership. Ready to get started? Contact your account executive or email [email protected] to begin.